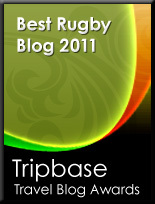 TOTAL FLANKER...a rugby blog: April Fools' Day Revisited? OK - here's a weird one. Japan international fly-half Ryohei Yamanaka faces a two-year ban after apparently using a steroid cream to try to grow a moustache. Yamanaka failed a random drug test during the Japanese team's training camp in Miyazaki in April. Japan coach John Kirwan has confimed that he expects the IRB to ban the Kobe Kobelco Steelers fly half for at least 6 months, ruling him out of the World Cup. "He's got a hair-growth cream to try and grow a 'mo'...it had a steroid in it and he didn't know" rapped MC Kirwan. Total Flanker - bringing you the Rugby World Cup stories that really matter.